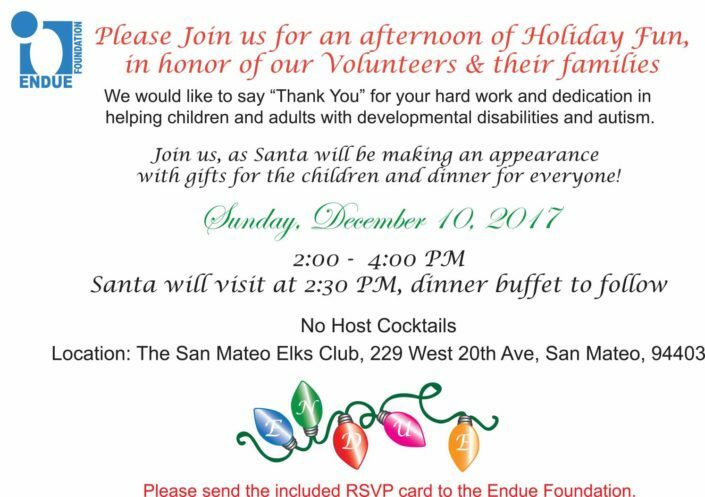 Join us Sunday, December 9th for an afternoon of holiday fun in honor of the volunteers and their families who make our work helping children and adults with developmental disabilities and autism possible. The festivities get underway at 2 pm. 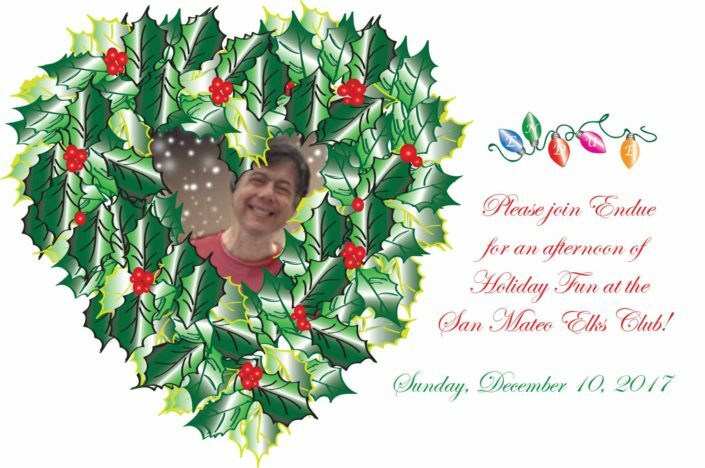 As the Holiday Season draws near, our thoughts turn to family and friends. In the spirit of the season, we also think of the less fortunate, whose disabilities can make life a year-round struggle. 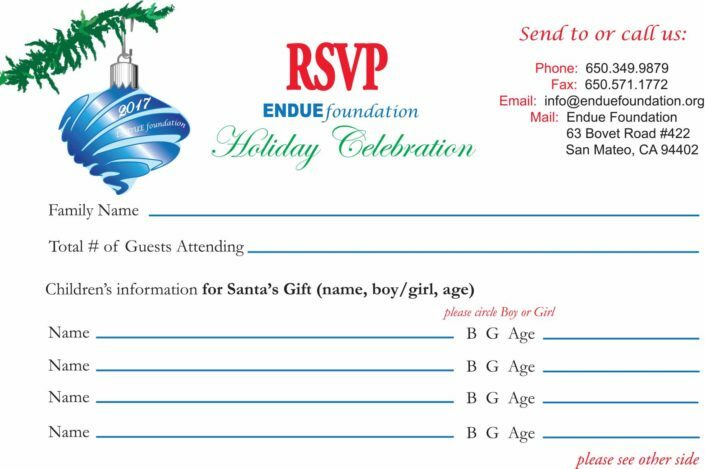 ENDUE Foundation is a group of people dedicated to helping the disabled and their families live better lives. We do so by raising funds for organizations that aid children with Autism and Developmental Disabilities and enrich the lives of the families who care for them. 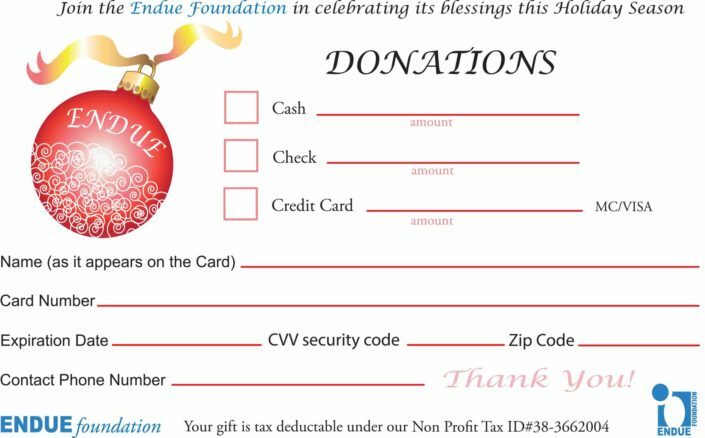 Your support of ENDUE will help us continue to assist these programs and hopefully grow to help other organizations. Our goal is to raise $50,000.00 this holiday season through the generosity of our community. ENDUE is 100% staffed by volunteers, so 98% of funds go directly to individuals and program services. Thanking you in advance for whatever you are able to do.